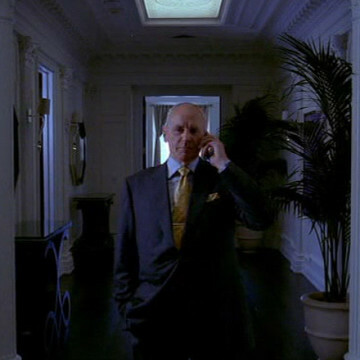 John Ellis (portrayed by Alan Dale) makes his first Entourage appearance in S05E07, Gotta Look Up to Get Down. John discusses his desire to see Ari as the Warner Bros. studio head around the episode’s four-minute mark and appears in scenes for several subsequent episodes, many of which touch on Ari’s job offer. Ari invites John to his office in the seventh season’s fourth episodes when he seeks funding for a Los Angeles football team.